Christian has played more than 200 times for Northampton Saints, gaining representative honours for England Saxons. He has played more than 200 Premiership games and 50 European Champions Cup games, a feat achieved by very few playing the professional game. In the Saints’ double winning season he was voted players’ player of the year, the ultimate accolade. His contribution on the pitch is matched by his efforts off it, serving as Chairman of The Rugby Players Association for the past 3 years. He has fought on behalf of his fellow professionals for their welfare and rights at a time of intense change in how our game is run. 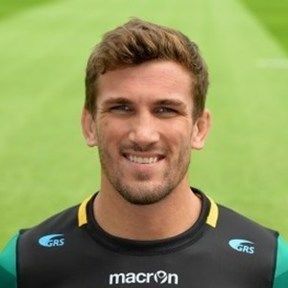 Please join us in honouring the career of a man who has given his all for Northampton Saints. A man who epitomises the greatest values of the game he loves so dearly. A full calendar of events is planned to honour this occasion - and to raise money for Christian’s 2 chosen charities.